Georges St-Pierre vacated the UFC middleweight title last evening and in doing so, he opened up a number of possibilities for his next fight. We’ve taken a look at five names who the Canadian could face once he’s recovered from Ulcerative Colitis and ready to return to the UFC Octagon. Could we possibly see one of St-Pierre’s longest running feuds reignite again next year? 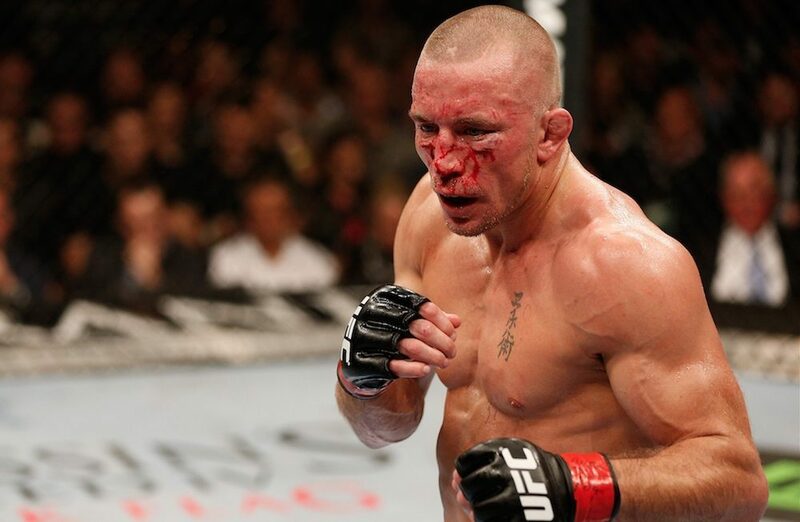 Back in the years of 2011-13, Nick Diaz and St-Pierre played out a long and storied rivalry that ended with the Canadian comprehensively winning a unanimous decision at UFC 158. The ending turned out to be a bit of let-down, but everything that went before it made for an intriguing build up. Unfortunately, these days Diaz doesn’t look like he’s ever going to be returning to the Octagon. If you watch his Snapchat or Instagram you’ll be well aware that his life these revolves around nightclubs in Vegas and triathlons. Who are we to judge him though? That sounds better than getting hit in the face to me. We move from one of the least likely, to the most likely. A St-Pierre vs Tyron Woodley UFC welterweight title fight makes all the sense in the world at this point. Like he did last evening, St-Pierre vacated his UFC welterweight title back in Dec. 2013 and defended it nine times before hanging up his 4-oz gloves for the first time. St-Pierre still has a good argument to claim he’s best 170-pounds fighter in the world, but the current champion Woodley can justify it every bit as much. 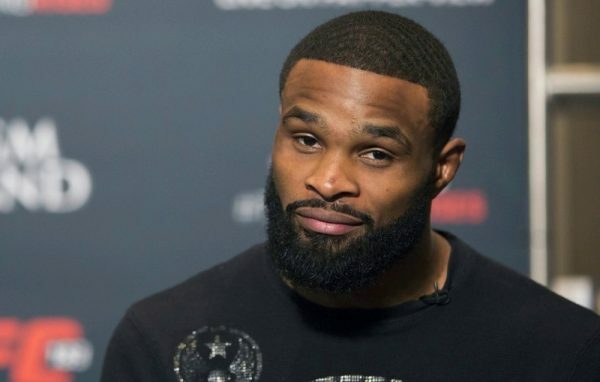 Having defeated the likes of Robbie Lawler, Stephen Thompson and Demian Maia already, Woodley is fast building a record to rival St-Pierre’s and a clash between the two would make for a big money fight next year. One small consideration is that St-Pierre might not fancy fighting a heavy hitter like Woodley. That appears to be the only reason why this wouldn’t be the fight to make. This once looked like it was destined to be the biggest fight in UFC history, but MMA has a funny way of never playing out they way we would expect. Both Anderson Silva and St-Pierre are getting deep into the twilight of their careers and a fight that looked nailed on to happen just five years ago might just end up being one of those ‘what if’ fantasy matchups. 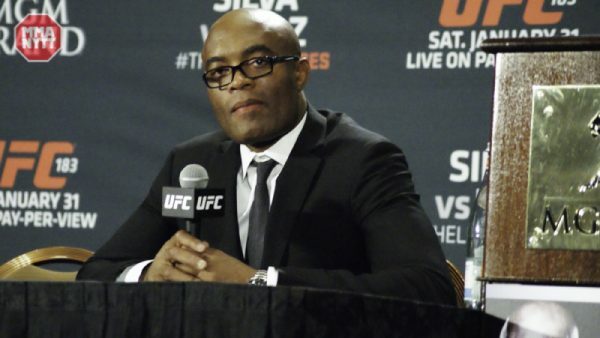 Silva is currently in trouble again with USADA following his second alleged failure of the anti-doping program. If at his hearing he’s found to be guilty and sentenced to a period on the sidelines for the second time, you can that 2/10 and make it a 0/10. Something totally bizarre and unprecedented needs to happen to stop USADA throwing the book at Anderson and suspending him for a long period of time. Only one thing prohibits this from being a very likely fight to happen – Dana White’s ego. Ben Askren recently ‘retired’ under to proviso that he would only return for another fight if it was to prove he is the best welterweight in the world outside of Woodley. That all sounds well and good, but Askren’s very public falling out with White makes this very unlikely to materialize. 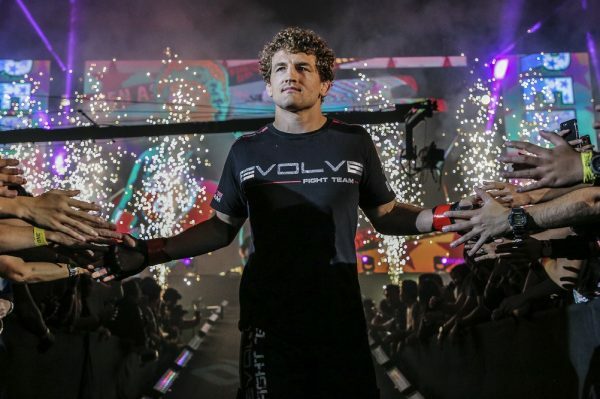 The full details of what happened between Askren and the UFC have never been disclosed, but from the information we know, the ship has likely sailed on Askren ever stepping foot inside the Octagon. It’s shame. Given Askren’s unbeaten record and his fighting style, this is the sort of fight you could see St-Pierre favouring over facing a heavy hitter like Woodley. Never say never in MMA, but unless there’s a lot of pride swallowed, this fight isn’t ever going to happen. The groans will not doubt, ring out, but if you don’t consider this a big possibility in 2018 you’re kidding yourself. Conor McGregor vs Georges St-Pierre is arguably the ‘biggest’ fight that the UFC can put on at this point in time. Take note, the ‘biggest’ not the ‘best’. Both McGregor and St-Pierre transcend across two different generations of MMA fans and the prospect of a pay-per-view event with the two going head-to-head will put $$$ in the eyes of the head honchos at Endeavour. Whether it’s for a title or not, St-Pierre vs McGregor does massive business and unfortunately, that’s exactly what the UFC needs to do right now. Perhaps it won’t do as well as many might think given the inevitable fan backlash, but trust us, this is up there with the Woodley fight as St-Pierre most obvious next step. You don’t have to like it.